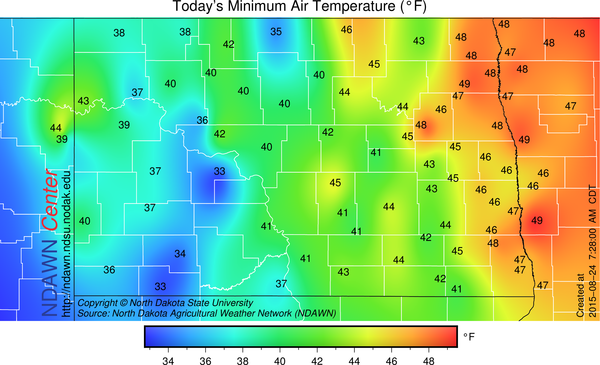 It was very chilly with some pockets of frost this morning in western North Dakota. Not on the graphic below but the Hettinger Airport recorded a low of 31° this morning. Tuesday morning will be another chilly morning but the coolest readings will be in eastern North Dakota rather than western North Dakota. Although no frost is foreseen, some lows in the upper 30s are probable in the traditional cooler locations. 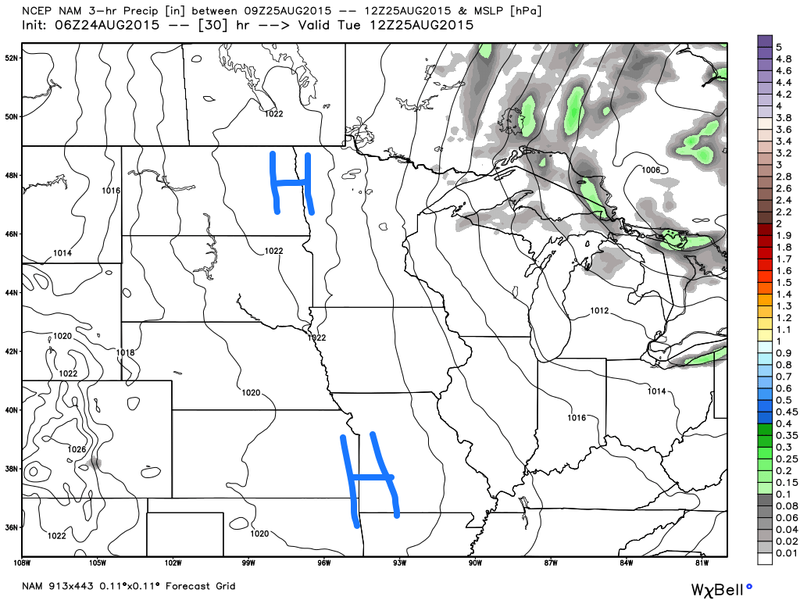 Cool polar high pressure that is currently centered over western North Dakota will move to the slowly east in the next 24 hours and be situated near the I-29 corridor early Tuesday Morning. Once this high shifts to our east, a warmer southerly wind flow near the surface will usher in much warmer temperatures toward the end of the week with maximums in the 80s expected, with even some around 90° reading in the western one-half of the state. Therefore about 48 hours of cooler temperatures projected, then above average temperatures Thursday through the weekend. The main threat of rain this week will be some hit and miss thunderstorms on Thursday.